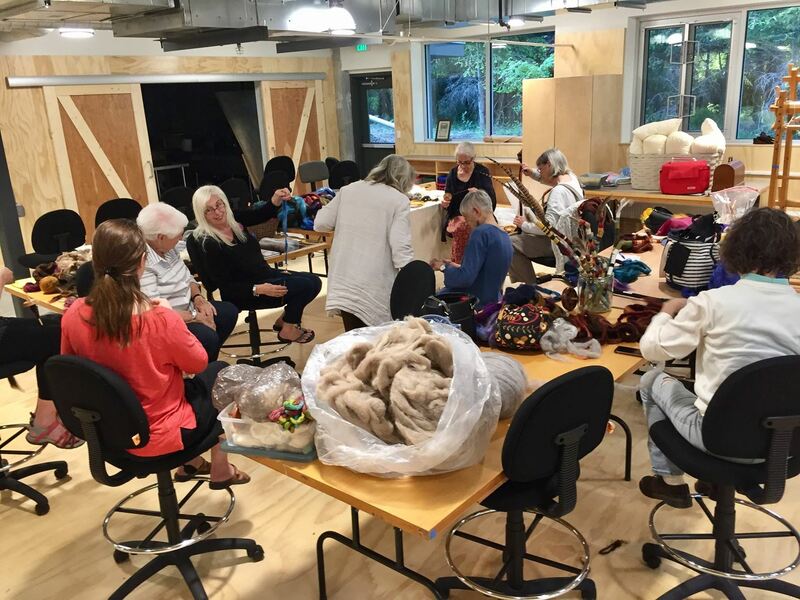 The Fiber Arts Studio Orientation Session is an opportunity to learn about what is possible to do in the Studio and how you can get involved. There is so much to do in the world of fiber including: basketry, sewing, weaving, spinning, knitting, dyeing, felting, making shoes, etc. Introduction to the equipment and work spaces within the Studio and how you can get qualified to use the equipment. Leadership structure within the Studio and how you can get involved with everything from hosting open studios, to serving on programming committees, organizing the monthly studio meetings, participating in community service projects, acting as instructor liaisons for our workshops, and becoming a member of the Studio steering committee. The volunteer nature of our organization and the importance of members caring for keeping the Studio well maintained and clean. Access to the Studio with your BARN fob. This class is free, but please register so we know how many to expect. If there are no registrants, the class will be cancelled.